As public angst over the prospective A$1 billion subsidy to coal magnate Guatam Adani hits fever pitch, a small company is modestly beavering away on another – more worthy – energy project in Far North Queensland. Genex Power has turned the abandoned Kidston gold mine into a solar farm and pumped-hydro power storage project. Kidston will deliver 145MWh of renewable energy per year. This is enough to power 26,484 homes. In terms of reducing emissions, this is equivalent to taking 33,000 cars off Australian roads. Like Adani, the Kidston project also got a leg-up from government. It won a grant of nearly A$9 million from ARENA, the Australian Renewable Energy Agency, and struck a deal with the state of Queensland to sell electricity for 20 years. Unlike Adani’s Carmichael coal mine, however, the Kidston solar project has bankers and investors. 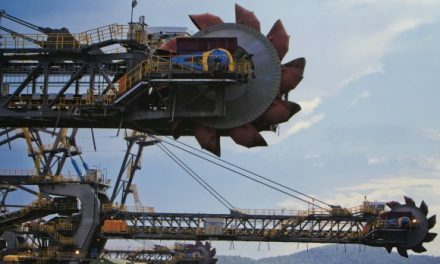 Unlike Adani, whose labyrinthine corporate structure wends its way to the Cayman Islands, Genex is listed on the Australian Stock Exchange, has a market value of A$70 million and is owned by small investors. When it delivers its first power in the next three months, it’s likely to pay tax on its profits. The furore over Adani has so far centred on the putative subsidy for the rail line to cart the coal from the Galilee Basin to the coast. There is no rail line without a mine, however, and so the bigger question is: who is going to tip in the A$10 billion in project finance to build the mine? Adani’s bankers have long fled the scene – not just for environmental reasons, but because the business case for building this, the world’s biggest new thermal coal mine, is sketchy. The global seaborne coal market is in structural decline. There is a glut. Thermal coal futures prices are well below the spot price – and even at present spot prices, this is hardly a viable financial proposition. So it is that, for many, the Australian government’s stubborn support of the Carmichael mine is beyond comprehension. It defies logic on so many levels: environmental, political and financial. The word “jobs” is bandied about by the proponents of the project. Prime Minister Malcolm Turnbull even claimed Carmichael would create “tens of thousands of jobs”. Adani itself claims 10,000 jobs. Yet the company’s expert witness in the Land Court of Queensland two years ago conceded the real figure was more like 1,464 jobs. Pit-to-port, this is a highly mechanised operation. The only plausible explanation for the persistent support of the mine by the government is ideology: left versus right, green versus brown. This syndrome of political tribalism impeding rational decisions is enshrined brilliantly in a report last week by Tristan Edis and Ric Brazzale of Green Energy Markets. Titled “Overcoming ideology to support new power plant investment and reduce power prices”, the authors describe how ideology and “immature, ideological squabbling” had led to the shambles which is Australia’s energy policy. 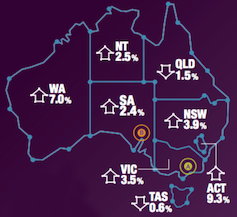 Australia’s electricity prices are already among the highest in the world and are going higher. Meanwhile, the political tribes are still mired in the debate about whether climate change is real and whether renewables are to blame for blackouts in South Australia. 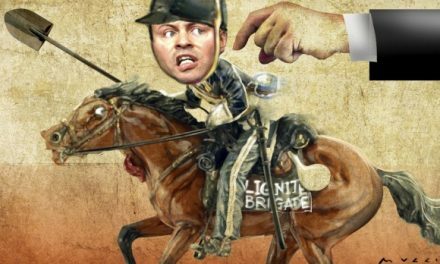 Edis and Brazzale have a good crack at the Australian Energy Market Commission, Frontier Economics, and other industry lobby groups in their report. They found that whether Australia opted for an emissions intensity trading scheme or an expanded renewable energy target – or even a scheme proposed by News Corp commentator Judith Sloan – didn’t really matter because renewable energy was now cheaper than fossil fuels anyway. 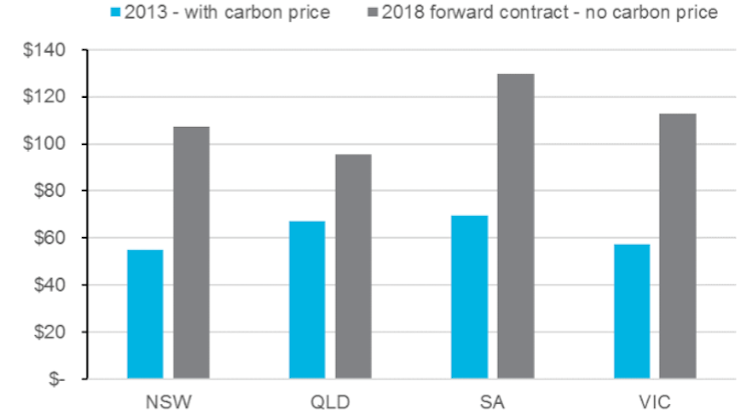 Thanks to spiralling gas prices, the cost of wholesale power on the east coast of Australia hovers above $100 per megawatt hour – whereas the latest round of auctions for solar and wind had been achieving prices of $65. Our understanding is that developers are capable of financing solar projects today at prices of around $75 to $85/MWh (where a long-term power purchase agreement is in place) and the expectation is that this would decline noticeably over the next ten years. This marks a stark contrast with Frontier’s assessment that costs would not reach $100/MWh for around a decade and not reach $85/MWh until 2040. 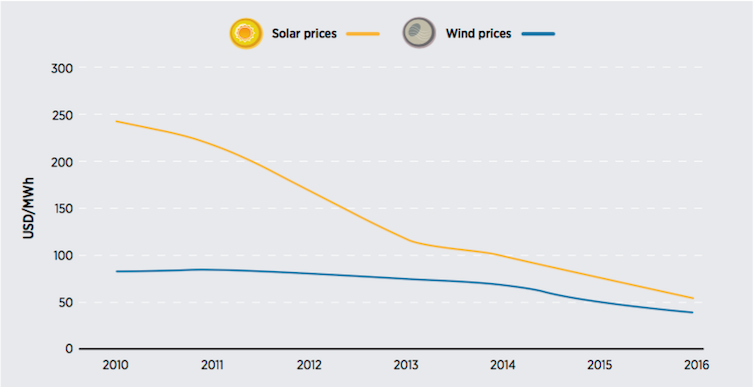 Globally, solar auction prices have tumbled from almost $US250MWh to $US50MWh since 2010. This goes for India too, which is making an aggressive transition to renewable energy and is on track to phase out thermal coal imports by 2020. 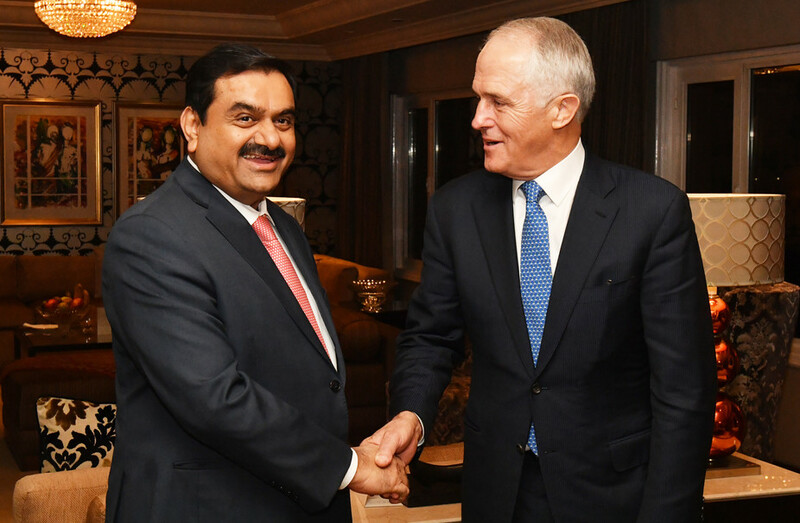 If, with the help of hapless Australian taxpayers, Adani gets its massive Carmichael coal mine up and running, its first production may be just about the time the last ship carrying thermal coal docks at an Indian port. This column, co-published by The Conversation with michaelwest.com.au, is part of the Democracy Futures series, a joint global initiative with the Sydney Democracy Network. The project aims to stimulate fresh thinking about the many challenges facing democracies in the 21st century. Adani loses Liberals but gaining Labor?